When it comes to 1973 New York, the music industry was at an all-time high. New genres were emerging. Post-punk, disco, hip-hop and rock ‘n’ roll were being born. A new musical revolution that would inspire generations today–from David Bowie, Jimi Hendrix, John Lennon and the New York Dolls–was on the brink. But little do we hear stories of the women behind that industry of the time. Although HBO’s hit new TV series Vinyl is bringing all the angst and testosterone to the forefront, it really is the stories of the women behind the “record men” that will keep me watching. And here’s why. Indie movie goddess and UK-star Juno Temple (with movie credits in independent to big budget films from Atonement to Maleficent) stars as Jamie Vine, the ambitious young record label assistant and level-headed go-getter who constantly tries to prove herself as more of an asset in the industry than just another call girl or drug mule. She actively tries to move up the ladder of Richie Finestra’s (Bobby Cannavale) American Century Records and steals a demo from the record label’s inbox to send to Richie herself for credit. Temple brings the kind of rebelliousness to the screen that is refreshing and so very fitting for the dreamy rock world that is Vinyl. Her ballsy no-nonsense attitude steals the screen and, for a time when women weren’t equally as accepted or taken seriously within the music industry as men were, watching the story of an ambitious and talented young woman with a cutting-edge ear for music rise in a generally man’s world is exciting. We can only hope that Vinyl will let her character develop further. In the two-hour pilot, the life of Olivia Wilde’s Devon Finestra is almost depressing. We see her as a mother and wife to Richie Finestra who is mostly seen at home caring for her kids and longing for the “good old days” of when she was a hot young model for Andy Warhol’s Silver Factory. She seems mostly to be arm candy to Richie, proud to be in love but frustrated with the tumultuous time’s strain on their relationship. But, perhaps the team behind Vinyl is only teasing us. If we trust Wilde enough, more of her character’s layers will continue to be explored in the forthcoming episodes. We will see how much of a team Richie and Devon are, and perhaps how much more in control of her past she is than Richie. As an artist herself and former muse to Andy Warhol, perhaps Wilde’s character is more plugged into the world than we think she is. We get fluid and vivid interludes of songs by Led Zeppelin, Ty Taylor and Donny Osmand scattered throughout the show accompanied by silhouette-like recreations of those artists singing live. A resurrected Karen Carpenter is also seen in a dream-like car sequence when Wilde’s Devon reminisces about “Yesterday Once More” in the show’s second episode. As if a show about music couldn’t portray music well enough, the way Martin Scorsese, Terence Winter, Mick Jagger and Rich Cohen have highlighted the music in the show is absolutely breathtaking. For a show that spans four decades of the music industry, it gives a chance for current artists to produce new material reminiscent of that classic era. With the premiere of each new episode every week, HBO is also releasing the episode’s songs through Atlantic Records. As if we needed another reason to get the show’s songs and world stuck in our heads, the show feels as real to the 70s as it can get. With a duo like Scorsese and Jagger behind the show–who not only lived through and influenced that time themselves–Vinyl seems to be recreating some real ground for women, and for music. 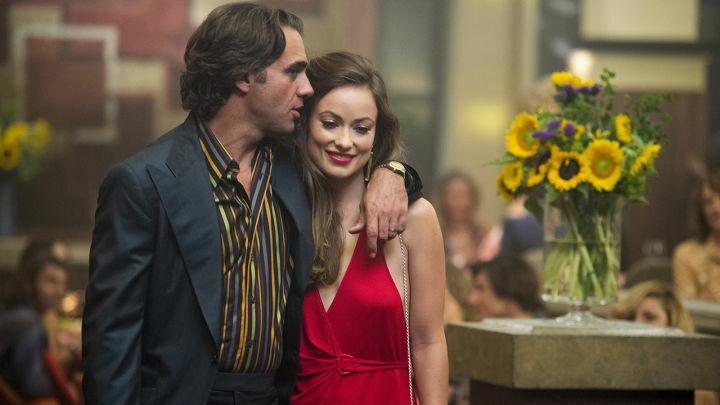 Vinyl plays on HBO Sunday nights at 9 p.m.